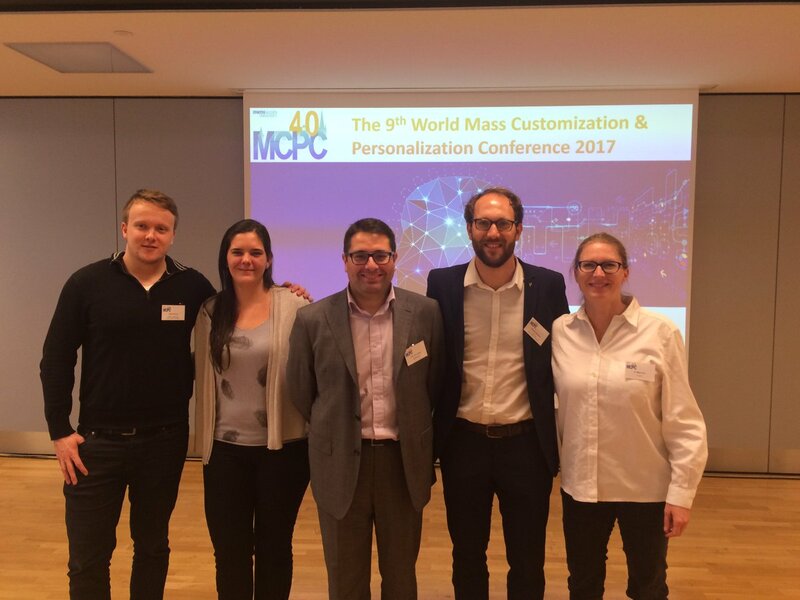 With a last scientific project meeting at the 9th World Mass Customization & Personalization Conference (MCPC 2017), the SMC-Excel project has been finalized. The partners e-hoch-3, SUPSI, and RWTH Aachen University met in Aachen to present results of the project (Sustainable Consumtion study, Product Service System study, and a Life Cycle Assessment study) within the sustainability track of the conference. Two of the studies will be available in a proceedings book published by Springer in the first quarter of 2018. Moreover, the partners met to discuss the final implications of the project results and opportunities for further research in the domain of mass customization and sustainability.